ave you ever driven home from work, parked your car, and then recalled that you don’t actually remember anything about the drive home? It was like you were on autopilot? Perhaps the Catholic Mass has been like that for you at times as well? The homily starts and you recall that you don’t remember anything that happened before that the priest began preaching? Or the time for the dismissal comes and you respond, “Thanks be to God,” but you feel horrible because the only thing you can remember is when you were standing in line to receive the Body and Blood of our Risen Lord . . Being absent at Mass and/or being bored at Mass, just means your brain is working as it should when no new stimulus has been provided to it. As all ritual is intended, the liturgy of the Mass is repetitive; that is, it is the same thing – the same words, the same music, and the same motions, over and over and over and over again. After enough repetition of the same thing, the brain has figured it all out and, thereby, reduces the neuron activity and chemicals (dopamine, oxytocin, serotonin, and endorphins) needed to accomplish that task down to its minimal level. Low-level brain activity and the absence of increased levels of dopamine, oxytocin, serotonin, and endorphins translates in the feeling of boredom. Compare it to your drive home from work, less any road hazards that might actually cause the brain to do some minor calculations – its boring, unmemorable, and may cause you to nod off. Have you ever nodded off at Mass? The human brain is very non-judgmental and is only there help you survive. That is, the brain assumes, in a manner of speaking, that you have a well-formed conscience and you know what you are doing. When you are doing something that the brain senses to be pleasurable, it assumes that this activity is something that will keep you alive and happy, so it then rewards you by releasing a flood of dopamine into your circuitry, so that you will remember how pleasurable it was, so that you will do it again. This program of the brain is always a problem when it comes to immoral activities that the brain has told us is pleasurable. It is also a problem when the brain has never associated the Mass as being a pleasurable activity or no longer releases heavy dosages of dopamine or oxytocin during Mass, because it has become repetitive and no longer needs the brain to participate at high levels, as when it was new. It comparable to doing the same physical workout and not losing weight. The muscles need to be shocked – they need a new activity for new growth and to burn fat. Our brain is always learning what makes us most comfortable and it assigns its natural drugs to help us always find our way to that comfortable place. Again, that is a big problem when it has learned that an immoral act is what makes us feel good and comfortable. It’s also a problem for my daughters who think Mass is something they do with Dad (pleasurable memories – dopamine) rather than something they do in obedience to God. When my wife tells me that she misses her Protestant Church because, as she candidly admits, she got something out of the sermons (dopamine), I understand what is going on. Before I understood how the brain worked, I would tell people, “The Mass isn’t boring – YOU’RE boring,” because it sounded pithy, funny, and quick way to turn the problem around to the person rather than the liturgy. I still maintain that the liturgy isn’t the problem, no more than Jesus was the problem, when He commanded, “Do this in anemeno [in perpetual wait] of Me,” which was His way of uniting/fulfilling the command given God to the Jews to celebrate the Passover Meal forever (i.e. perpetually) (Cf. Exodus 12:14) with the Sacrament of the Holy Eucharist. Indeed, God commanded us to celebrate the memorial sacrifice forever, knowing full well how the human brain reacts to repetition. He also gave us a sacrifice, trusting that we would know from the examples of Abraham and Isaiah and Mary and Jesus, how challenging a sacrifice should be. That is, a sacrifice by its very nature should always challenge the brain and the body and not only release the chemicals of happiness like dopamine and oxytocin, but also release endorphins that help us with the cardinal virtue of fortitude and help us to push through any pain and discomfort, and serotonin that helps us the cardinal virtue of temperance and helps us maintain a mental balance. 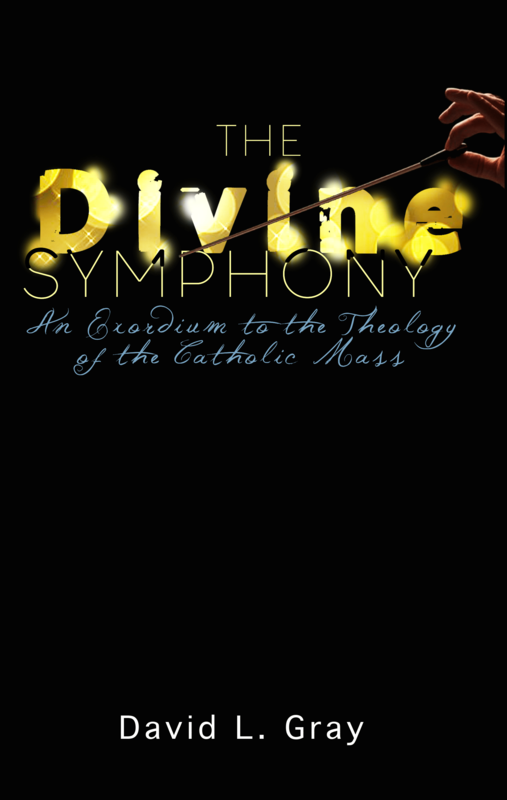 My whole point of writing The Divine Symphony: An Exordium on the Theology of the Catholic Mass, was to help my brothers and sisters break the cycle and to teach their brain that there is something new to discern and witness at every Catholic Mass. The Mass does not consist of times to stand and times to kneel or of things the priest says and things I say. Certainly, some liturgies are more beautiful (dopamine) than others, but no Mass has more of Jesus than the other, and every liturgy can be offered reverently. Therefore, teach your brain the memorial sacrifice so that it will stop being bored and classifying it as something that it already knows – as some sort of repetition that it can do in its sleep – as something that doesn’t challenge it. Find particular points during the Mass, like whenever the name of Jesus is said, or the five times we say, “And with your Spirit,” to teach your brain to respond to with a very discreet gesture to yourself. In short, if you teach your brain to always be seeking to know, love and pray the Catholic Mass, it will never send you signals of boredom ever again because it will be ‘working’. PreviousThe Conciliar Option to End the Francis Schism?